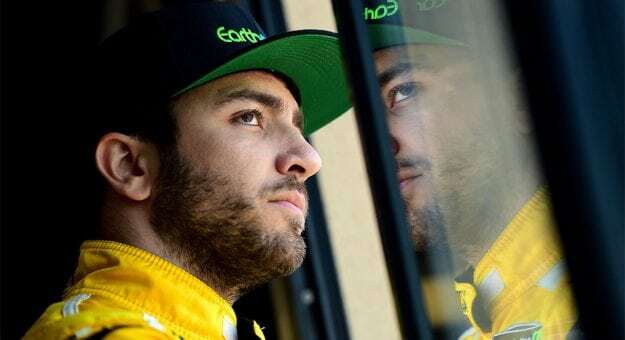 HARRISBURG, N.C. (September 17, 2018) – Alon Day, the first driver from Israel to ever compete in NASCAR’s top series, will make his 2018 Monster Energy Series debut on Sept. 22 in the Federated Auto Parts 400 at Richmond Raceway. Day will drive the BK Racing No. 23 Best Bully Sticks Toyota Camry. Day, a 26-year-old native of Tel Aviv, Israel, was the 2017 Champion of the NASCAR Whelen Euro Series. As a result of his outstanding achievements in NASCAR’s Euro Series, Day has the unique distinction of being the first stock car driver from outside of North America to be selected for the NASCAR NEXT program (Class of 2016), an initiative to feature NASCAR’s future stars. Day previously has competed in NASCAR’s Camping World Truck and Xfinity Series. In 2017, he made his Cup Series debut at the Sonoma road course. The Richmond race marks his first on a Cup Series oval track. As a longtime dog lover and a health food advocate, the partnership between Day and Best Bully Sticks was an easy decision for both parties. Best Bully Sticks is a brand of TDBBS, LLC, a Richmond, Va.-based market leader in providing healthy, natural dog treats and chews.